Semiconductor Nanowires: Part A, Number 93 in the Semiconductor and Semimetals series, focuses on semiconductor nanowires. 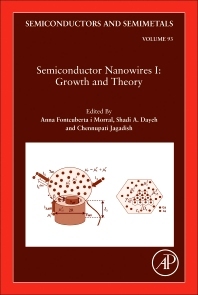 Comprises up to date advancements in the technological development of nanowire devices and systems, and is comprehensive enough to be used as a reference book on nanowires as well as a graduate student text book. This book will be of interest for scientists and engineers performing fundamental and applied research and technology development in the field of one-dimensional nanowires. The book will particularly appeal to physicists, chemists, materials scientists, electronics engineers and mechanical engineers. This book will be of interest to students, researchers and practitioners working in the field of semiconductors, mechanical, electronic and optoelectronic devices. Anna Fontcuberta i Morral is a Professor in Materials Science and Engineering at Ecole Polytechnique Fédérale de Lausanne (EPFL). She has expertise and experience in semiconductor nanowire growth by molecular beam epitaxy, characterization of structural and functional properties at the single nanowire level and fabrication and characterization of optoelectronic devices, mostly solar cells. She has worked at CalTech, co-founded a start-up company and been team-leader at TU Munich prior to joining EPFL. She has published widely and given many invited talks at prime conferences in the field. Shadi Dayeh is a Professor in Electrical and Computer Engineering at University of California, San Diego (UCSD). 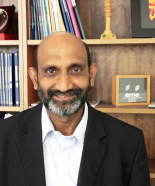 He has extensive experience in semiconductor nanowire growth, characterization and devices. He worked at Los Alamos National Laboratory as a Director post-doctoral fellow and as a Distinguished Oppenheimer fellow prior to joining UCSD. He has published widely on a variety of topics prevalent to semiconductor nanowire growth, devices, and their integration, and has given many invited talks at prime conferences in the field.